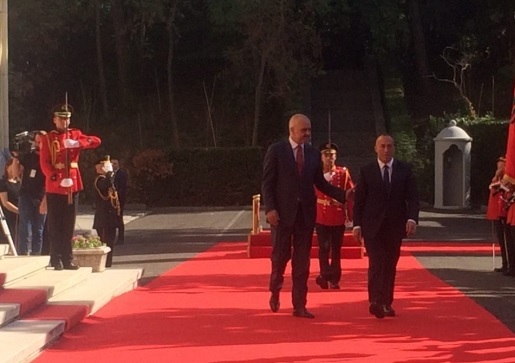 Prime Minister of Albania, Edi Rama and Kosovo Prime Minister Ramush Haradinaj at a joint press conference said that the joint meeting of the Albanian-Kosovo government will take place on November 27 - November 28. Rama said that at the joint meeting of the Governments, the main focus will be the removal of the border between Albania and Kosovo. "Controls will be so rare that someone may thing that there was no control at all, as is the case at EU borders. Student diplomas, youth work are obvious difficulties for young people on both sides of Albanian mountains," said Rama.